Tennessee is an increasingly diverse state – home to over 830 foreign-owned businesses who have invested over $24 billion in the state. In addition, each year Tennessee welcomes approximately 1600 refugees from around the world. Creating a dialogue with our investors and neighbors often requires the help of a third party, and it makes a big difference how qualified, careful and ethical those third parties are. Whether your organization is trying to reach foreign markets and investors or provides services to foreign-born segments of our community, TN Language Center can provide you with professional translators and interpreters to help you communicate effectively through written translation of documents and and in-person or telephonic spoken interpretation services. TN Language Center has served organizations in the government, corporate, healthcare, legal and education sectors for over 15 years by providing superior linguistic support. Our highest priority is providing reliable and high-quality services to our clients, and our attention to detail sets us apart. TN Language Center Interpretation Coordinators and Translation Project Managers are available Monday through Friday, 8:30 AM until 4:30 PM to assist clients. Requests for interpretation or translation services may be submitted by phone to 615-741-7579, by fax to 615-253-5488, by email to its@tfli.org, or in person. Specializing in legal, medical, social service, business, and government settings. 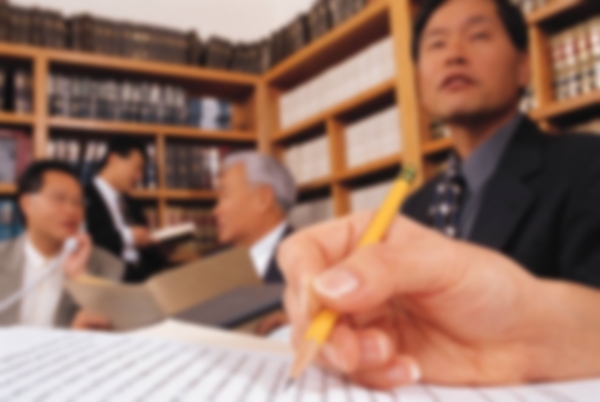 Written translation of documents by ATA certified translators. Interpreters available 24/7 in over 200 languages. Enroll today for free. Quality interpretation and translation are more than matters of compliance. Discount services often end up costing organizations more – in time, reputation, bids lost, and lawsuits – because the interpreters, translators, or agencies providing services at such a low cost often don’t have the training and experience required to prove high-quality interpretation and translation. Translators are often hired off-shore to be more cost effective for agencies. TN Language Center only hires U.S.-based translators. Our on-site interpreters are hired locally in Tennessee. Interpretation and translation are skills that require years of work and ongoing professional development to master. We believe this dedication deserves to be honored with fair compensation. While assignments are subject to availability, when you make an interpretation or translation request with TN Language Center, you can feel confident knowing we have an interpreter or translator for the language requested on our roster. We will never tell you we can provide service if we do not have an interpreter or translator for that language and we will notify you promptly if the language requested is not available. Our interpreters and translators have native language fluency, extensive experience in a variety of settings and fields, and cultural sensitivity. TN Language Center interpreters are trained in professional ethics and standards of practice, undergo background checks and remain neutral third parties on site or by phone. TN Language Center works with translators who are members of, and certified by, the American Translators Association, and many also have degrees in translation and/or foreign languages. Our network of over 500 professional interpreters and translators guarantees we can provide services in almost any language. Hosting a foreign delegation for a business meeting or conference? TN Language Center is your one-stop answer for translating presentation materials, providing interpretation services, and simultaneous interpretation equipment. Working with TN Language Center means you don’t have to worry if the interpreter gets sick or the translator’s computer crashes because it’s our responsibility to find a replacement and make sure your project is completed. Our staff carefully considers each project to address any logistical or linguistic challenges and makes sure our customer’s needs are met. TN Language Center Interpretation Project Managers work closely with our clients to ensure all of their needs are met and carefully select an interpreter whose experience and skill-set are appropriate for each interpretation setting. Our Project Managers are also sensitive to the cultural needs of the multicultural communities and are important resources for our clients. TN Language Center Translation Project Managers work with clients to identify the target audience of the translated document, evaluate documents before the translation process begins in order to identify issues that may hinder translation, develop glossaries of terminology that serve as resources for translators and ensure consistent translation, and carefully select translators for projects based on their areas of expertise. When the translation is complete, the Translation Project Managers conduct final quality reviews of each translated document for content and formatting. Do you need a translator or do you need an interpreter? To put it simply, translation deals with written communication, while interpreting is all about the spoken word. During a translation of your material, written text is translated over a period of days or weeks from the source to the target language using CAT tools, editing, proofreading and review. On the other hand, an interpreter uses oral means to interpret what is being said between two or more parties from the source to the target (and vice versa) in real time. While a translator may be qualified to translate into one language pair (ENG to SPA for example), they may not be qualified to translate in the reverse combination (SPA to ENG). An interpreter must be qualified to work at high level in both their source and target languages in order to render an accurate interpretation in real time. If your organization has an on-going need for interpretation and/or translation services and you are interested in establishing a contract with TN Language Center, please contact Cesar Muedas by phone at 615-741-7579 or email to cesar@tfli.org.